My guess is most of you already know that my wife and I are expecting another child. If not, now you do. We launched the news into cyberspace on Christmas Eve 2013. 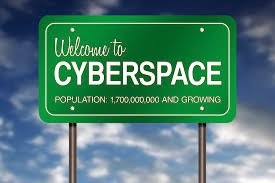 Do people still say cyberspace? Into the social networks? Into the web of friends? I'm not a hipster, so back off. Let's be honest, babies are conceived and born quite often, so I'm not writing this post to try to get you more excited about my family's life. God has been good to us, but there is a back story. In my opinion, back stories are what make the "front stories" carry weight or sink in a titanic way (pun intended). They substantiate the claims and add relevance to what is said in the main storyline. I have a back story to tell. Let's travel back to August 2009 for a moment. My wife and I had been married just over two years (See also "The Story of Us"). We decided we wanted to start a family--kids, kids, kids. If you're like we were, you have become accustomed to getting what you want. Our society, perhaps more than any other in history, has the means to get most of what we want almost every day. We want burgers--we get burgers. We want chocolate--we get chocolate. We want type II diabetes, wait, no; but we get that too. So when my wife and I began trying to conceive, we were a little put off by the fact that it didn't happen immediately like when we order things from Amazon. We wanted two-day shipping folks. We have a schedule here. Let's move it God. Form life. Frustrated would describe the first few months, but we knew it could take time. Then six months went by. We were a little irritated now. Maybe God was mad at us. Let's pause here for a moment to consider some things. First, why does God make us wait? Is it to punish us? Is it to torture us like when you make your dog wait for his treat because you like seeing him squirm? Or perhaps God is indifferent and He has no purpose; He has just left us afloat to fend for ourselves. It all sounds so irrational on paper, but being in a waiting situation causes these thoughts to fill your mind. We are always looking for answers instead of patiently waiting and trusting Him. I'd be thrilled to tell you that we passed the test with flying colors, but we had some slip ups in our minds. 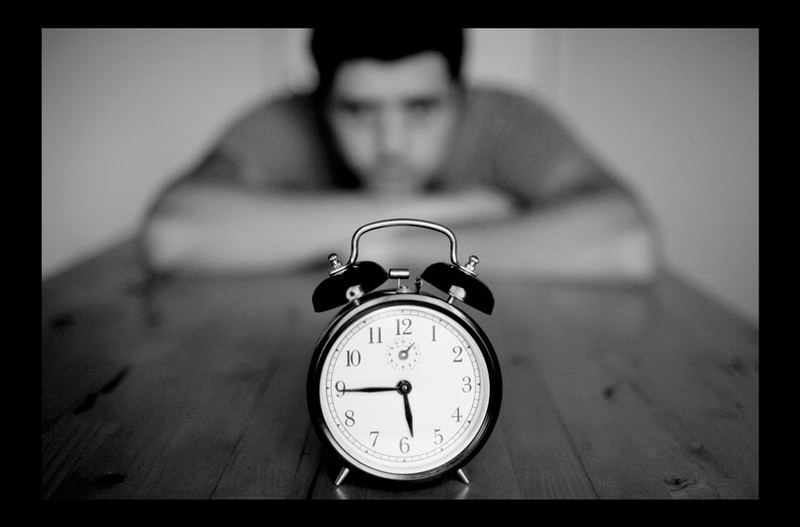 I believe there are reasons for God's periods of waiting in our lives. We probably won't understand all of them for years to come, or maybe not until this life is past. However, one reason I believe is immediately evident is that waiting can drive us to pray more than ever before. What are you waiting for? Have you prayed about it? Are you still praying, or have you given up? Nine months went by, then twelve, and we started wondering if we could have children. During this time I became more serious about praying for a child. My wife and I prayed together almost daily, but there were also times I would get alone and talk to God. As a husband, one of the most difficult things to endure in a situation like this is seeing your wife hurting and frustrated and not being able to do anything about it. 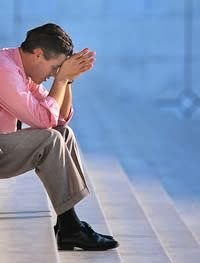 The helpless husband is also the discouraged husband. Men want to fix, conquer, and provide. What could I do more than I was already doing? We went to the doctor and things looked good from their perspective. There was no reason why she shouldn't have been pregnant. If you're familiar with their procedures, the husband is the next link in the chain to get checked out. I was willing to do this, but not excited about it. It had been thirteen months since we started trying now, and we were considering using medical intervention. I vividly remember going into our spare bedroom (at the time, but it later became Micah's room) and kneeling on the floor to pray. It was a little after 11:00 PM and Elizabeth was sleeping, but I couldn't sleep. I begged God to give us a child, and I did something I will never regret. I told God that if He gave us a child, I would surrender that child to Him for whatever purpose He had. That might scare some of you, but that's because you don't trust God. I trust Him, even with the lives of my children. I lay no claim on my children, because they belong to Him. I can't say for sure, but I think that prayer changed the game. Perhaps the reason for the waiting was that God was waiting for me to surrender--to release my psychological hold on "my family". I don't remember counting the days, but shortly after that night, my wife conceived our first son, Micah. The subtlety of answered prayer means I cannot "prove" to anyone that our son is the direct result of prayer, but I can be convinced in my own heart. That's enough for me. Micah Callan Devine was born April 25th, 2011, earlier than expected. See also "Why I Love Being a Dad". We were so thankful and so excited to be parents. It's an expensive cost, but I also believe that waiting for something can cause us to cherish it more. We love Micah like neither one of us knew we were capable of. So this is old news, right? Well, the story continues. We both agreed that having two children in diapers was tough business. We decided to hold off on "trying" to get pregnant until Micah was at least 18 months old. His first birthday was exciting, and shortly after that we moved from Alabama to Tennessee. After settling down in Tennessee for several months, we decided it was a good time to start trying again. It was September 2012. We thought things would be better this time because we already knew we were able to have children, which we didn't know before. We were excited. Three months went by, then six, then eight, and we started reliving the first attempt--frustration, irritation, helplessness, and impatience. Ten months, twelve months, and it didn't make sense to us. I thought we learned our "lessons" the first time and this time God would ship the child overnight via FedEx and life would be great. Nope, our plans were not God's plans. As a short parenthetical to this story, I want to take a few lines to encourage some of you out there to be careful when asking women about getting pregnant. It seems that certain people think it is acceptable to walk up to any married woman between the ages of 18 and 43 and tell them they need to start popping out babies if they want to be a worthwhile woman. It's incredibly insensitive and a display of juvenile indecency. The question, "When are you going to start having babies?" is similar in style to "So how close are you to menopause?" or "How often do you use Viagra?". For one, it's none of your business. For two, why are you assuming that woman has not TRIED to get pregnant and you're just pouring salt in a wound? For three, it's none of your business. Did I say that already? And lastly, a woman's value is not equated to the number of children she delivers, so stop insinuating it. How many children a family has is entirely between them and God and is not subject to your timescale. Think before talking. Similarly, many families endure miscarriages. Do you really want to be the person that tells a woman who just had a miscarriage that she should really start having more babies? Not smart. Very stupid. My wife showed me the positive pregnancy test in October 2013 after another thirteen months of waiting. We are waiting still to meet the wonderful little person, but at least we know the package is in transit and we have a tracking number. God is wonderful because He gives us what we need when we don't know we need it. I know there are people out there that have waited years for children and had far more difficult circumstances than us. This story is not to tell you how wonderful we are for surviving--it's to encourage you. Whatever it is you're waiting for from God, don't be discouraged. Don't listen to the lies in your head. Press on. Pray. Trust. Love. And remember, if it hurt you, there are other people that are hurting, and maybe God can use you to help them. Well, after reading this, I'm sure I am not alone in saying that in the future, I will think twice before asking "when will the next baby come?" I can relate to your story just because Jim and I went through a similar experience during the first couple years of our marriage. So I know from personal experience that it can tear you up, and potentially tear up your marriage as well. We endured, and though our outcome was not the same, we still have faith in God that, whatever happens, it His will. Thanks for sharing this story.